On the other hand, when buying, selling or leasing land, buildings and other real properties, there arise differences in negotiation ability and information volume, etc. between operators and consumers. In order to prevent such differences from causing trouble, there exist many laws and regulations governing a variety of scenes in real estate transactions. 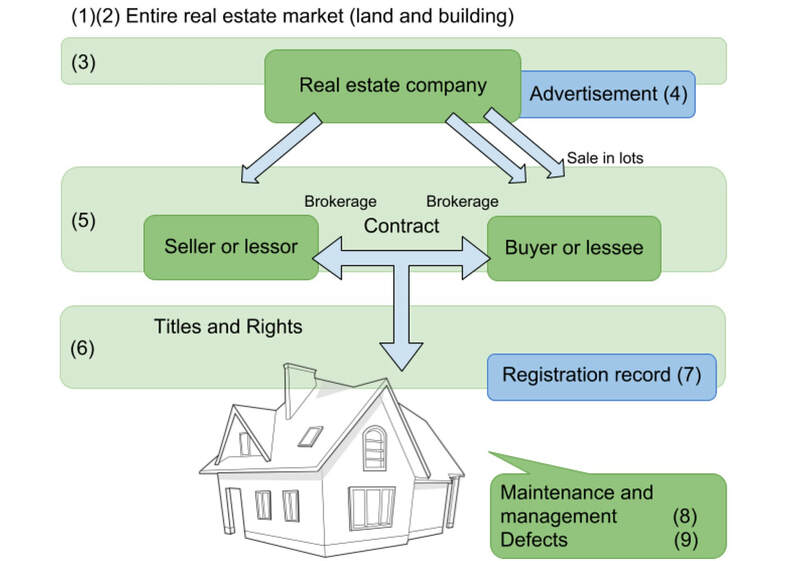 Japan’s representative laws and regulations concerning real estate transactions are classified and summarized into the following 8 items in terms of acquisitions and leasing of residential properties. Laws concerning defects(faults, etc.) of housing properties.